Michelle Russell was born in Burbank, California and grew up watching her mother, Marian, dance. She began performing at the age of three, at first for Christmas events, and then in hospitals. At the age of 7, Michelle was inspired by the old movie musicals of Shirley Temple, Al Jolsen, Fred Astaire & Ginger Rogers, among others. After seeing the young Judy Garland singing "Dear Mr. Gable", she was inspired to become a singer. 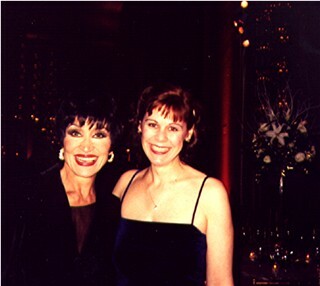 After attending Los Angeles City College, Michelle moved to New York City where she attended HB Studio and studied privately with many teachers. Eventually, she created her own cabaret shows which were performed at numerous clubs throughout New York City. In a return to California, Michelle worked in several films and TV shows including Back to School with Rodney Dangerfield. Following this, she worked on Capital Hill in Washington, DC for several years, as well as the John F. Kennedy Center for the Performing Arts. with B'way Kevin Gray, touring as the Phantom of the Opera! 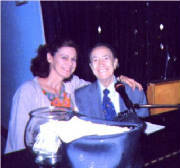 In the mid-1990s, Michelle Russell returned to New York City where she had the good fortune to sing with the great Bennie Martini, as well as create many shows, included a living history program for the Judy Garland Birthplace in Grand Rapids, Minnesota and a show honoring songs from the films of Shirley Temple. 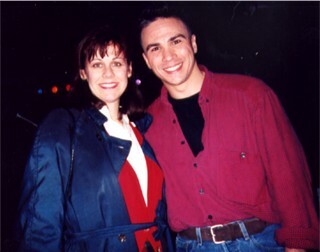 In 2000, Michelle recorded her self-named CD, "Michelle Russell & The Moonlight Band" with Gary Pace. 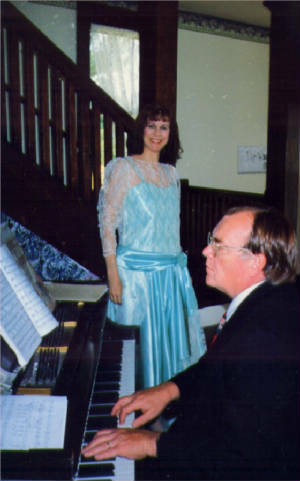 (This CD recording is still available thru CdBaby.com.) Later that same year, Michelle released a single-song recording of Bennie Martini's Mother's Day song. A new CD which may include songs from the original CD, as well as others listed below has been in the works for the last year, and hopefully will be released in 2007. If you would be interested in receiving news on this CD, please e-mail us and ask to join Michelle's mailing list.